Arun Jaitley lashes at Rahul! Sri Ramachandra Murthy January 4, 2019 12:31 IST Arun Jaitley lashes at Rahul! 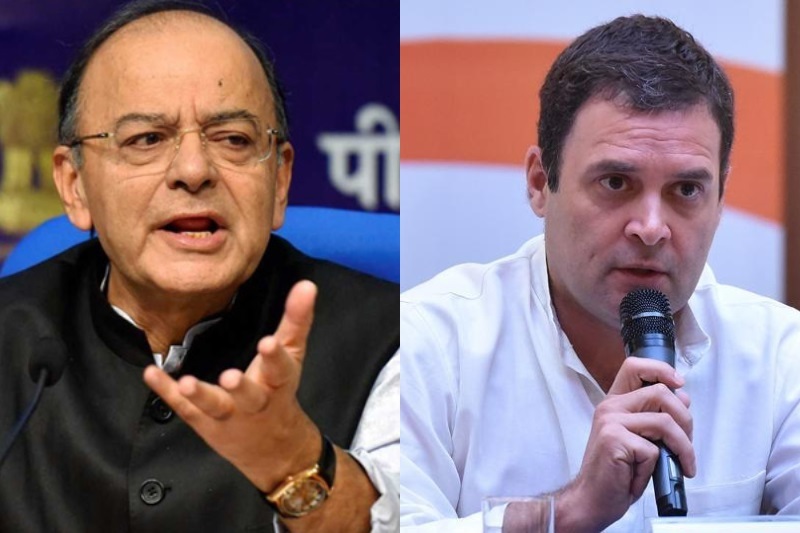 Central finance minister Arun Jaitley entered a Twitter attack over Congress President Rahul Gandhi, after Rahul Gandhi branded interviews of Indian Prime Minister Narendra Modi as staged interviews and the journalists involved in such interviews are those associated with BJP. Jaitley took it to Twitter, where he shockingly called Rahul Gandhi as grandson of Emergency dictator. He tweeted "The Grandson of Emergency Dictator displays real DNA - attacks and intimidates independent Editor". He posted another tweet asking of pseudo-liberals whether if they're waiting for Editor's guild. Emergency Dictator was a perfect reference to Rahul Gandhi's grandmother Indira Gandhi, known for imposing emergency when she was Indian Prime Minister. After Rahul Gandhi said of interviews being staged interviewer Smita Prakash called it a cheap shot that was not expected from President of India's oldest political party.